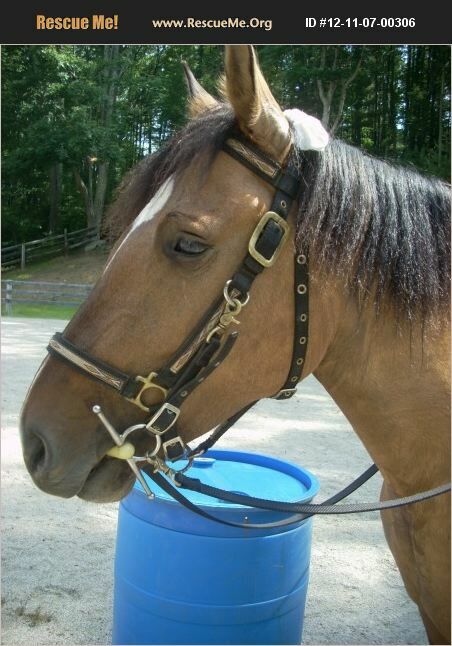 Massachusetts Horse Rescue View other Horses for adoption. BSER Avoca, Pryor Mountain Mustang mare, 15 h. DOB 4-1-2003. Avoca was born with sight but soon developed bi-lateral cataracts. Now Avoca has limited sight. She gets around fine at the rescue and volunteers regularly enjoy a ride on her. Avoca will never be a trail horse. She can only be ridden in very familiar surroundings. She does go w/t/c/b, those are her gates. She needs to be ridden with caution. She is a strong, special horse that deserves a good home that understands her limitations. Are you the special someone Avoca is looking for?